Managing your sport activities can be tricky especially if you have several friends you work out with. 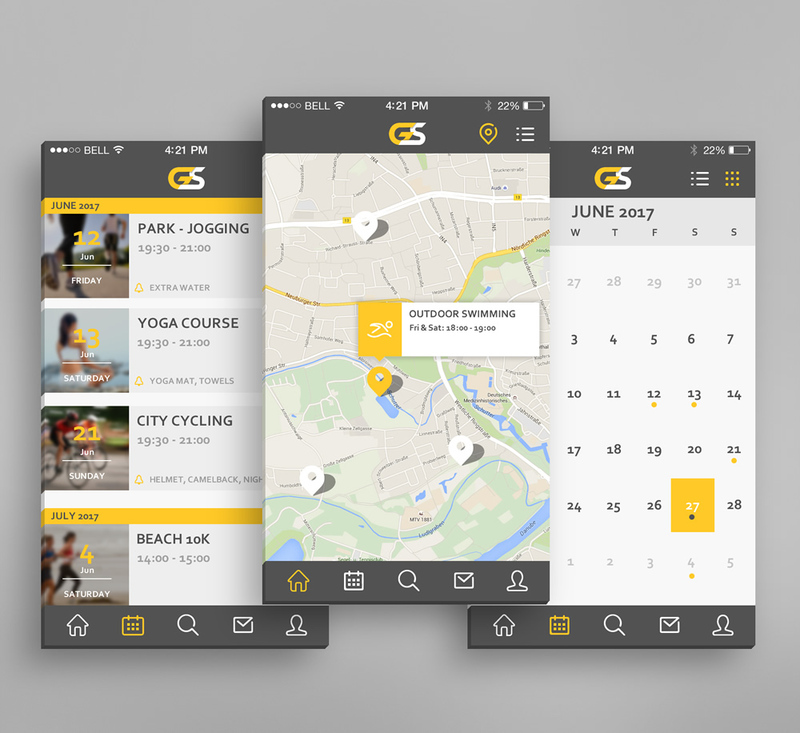 With Get Sports you can track your upcoming trainings, see when your friends are working out and what equipment is necessary to bring along. If you’re traveling and looking for some company to show you the best jogging routes, gyms or trainers in the city you’re staying at, this app has a directory of events and people. In short – Get Sports will become central place for your fitness activities. And on our side – we’ve just finished the brand identity and the UX for the app and our client is handling the business side of the product development in Germany.